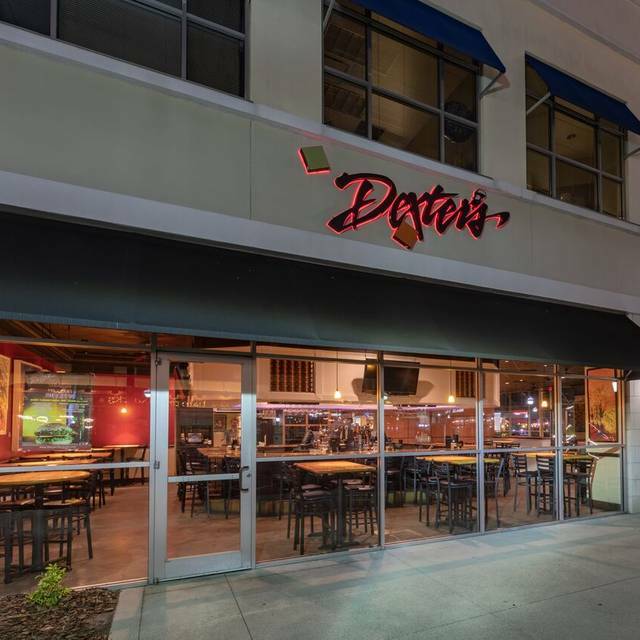 You must make reservations at least 5 minutes in advance of the time at Dexter's - Lake Mary. 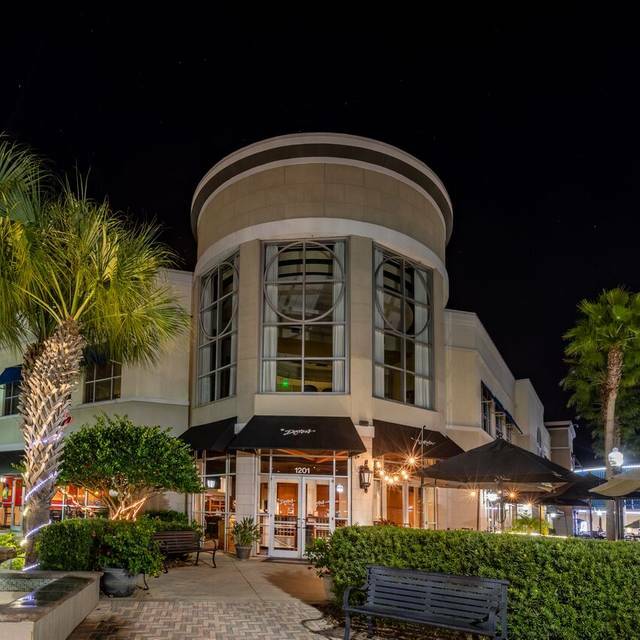 Founded in 1984 by Dexter Richardson and our General Manager, John Hoffmeister, Dexter's is a local and established contemporary restaurant where you can enjoy great food and live entertainment. Our executive chef, Rich Kutza, has mastered creating and preparing dishes that are not only fresh, but locally sourced. Enjoy the wine from our unique, extensive collection by the glass or bottle or choose one of the crafted cocktails from our full bar. 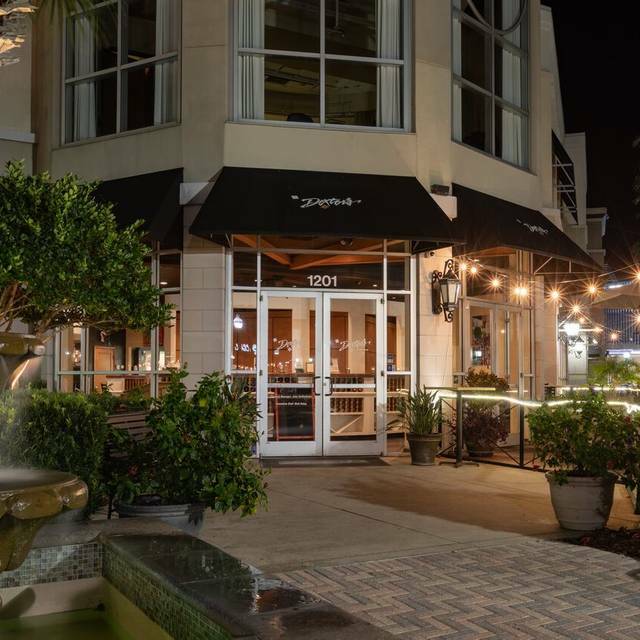 Dexter's is known for excellent food and service including our award winning Sunday brunch with bottomless mimosas. 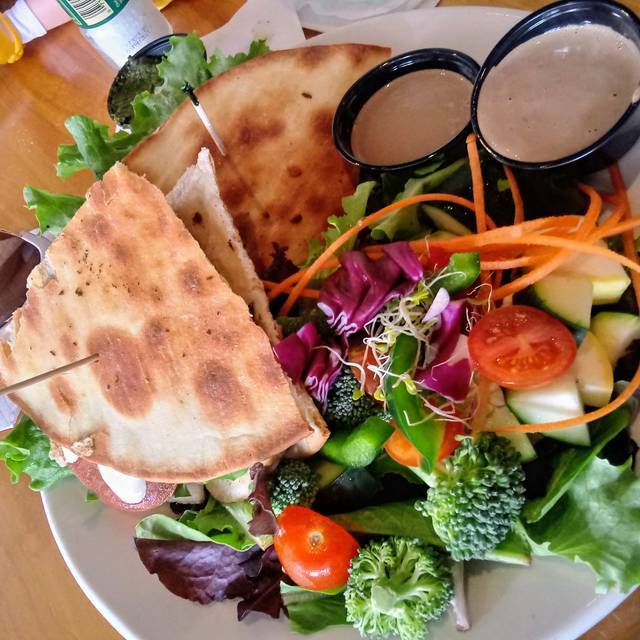 From a simple build-your-own sandwich to a carefully prepared entree, everything is made fresh. Choose from the main menu or from the daily cafe menu that features seasonal ingredients. The cafe menu and wine lists change so often that you'll always find something new and different to enjoy! Please Ask your Server About Our Local Craft Beer & Draught List! We’ve been eating at Dexters for many years, and they seldom disappoint. Our brunch was no exception. The food was very good and fresh. And the service was great. Dexters food is always awesome and their list of wine and cocktails are impeccable! Our server was very attentive and ensured that we had an enjoyable brunch. Great spot for lunch. I always enjoy then tuna poke. Our waiter was fantastic but I don’t remember his name. He has been with Dexter’s for 3 years. Great place awesome food I love the Shuffle fries I highly recommend it. I went to brunch at Dexter’s with some girl friends! The endless momosas were delicious and the French toast was to die for! Met up with three coworkers for the first time. We all enjoyed our food and the server was awesome. She even hear us talking about the birthday of one of us and she gave her the dessert for free with a candle! Food took a long time and was cold, the server was very nice and accommodating, but it was loud, and the food was not very good. Made reservations for 8 pm did not get a table till 8:30 p.m and was not even the table that o requested. I drove past two other Dexters (Thorthon Park & Winter Park) to meet a friend as this Dexter.. The drive was well worth it .. Super nice people, Great food & Fun people watching! Very good overall. Busy Friday lunch but service excellent. Blackened chicken and shrimp salad was excellent! Always treated with excellent customer service. I love coming here. This is my husband’s and my favorite place. Had a nice business lunch. They were very accommodating and helpful. Chris is great!! Will definitely recommend!! Very disappointing all the way around - food quality was terrible. Thank you Paul, for making our wedding anniversary special. We love this place! Come here all the time for brunch. I had a delightful, delicious Sunday Brunch here. The food was great, the place was pretty and it was a great time. Fresh fish and salads, friendly efficient staff and the delicious meal! We had brunch here with the family. The food was very good & bottomless mimosas were awesome! We had a great time!! 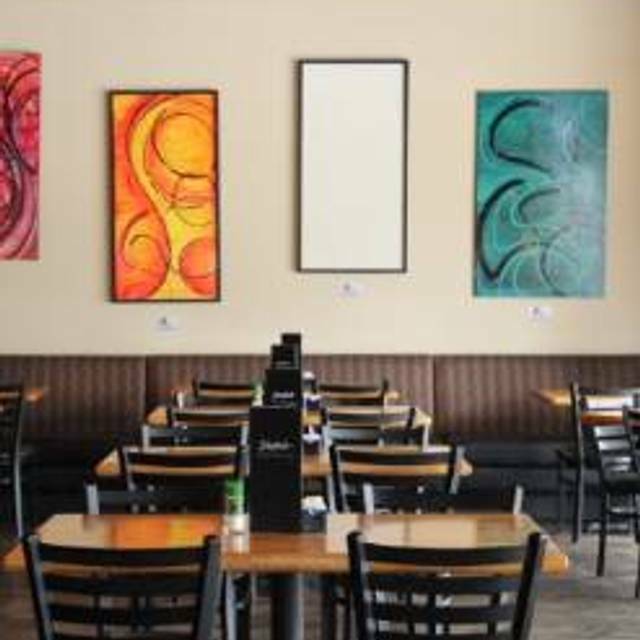 Best for casual dining; lively atmosphere prevents conversation. Good for quick meal before or after movie; theater is close by. Chef special was a hit. with each entry & exit by servers and customers. We live this place. We come here every Sunday for brunch. Never disappoints. Service is outstanding! The food was tasty and the service was top Notch. Awful experience. Craig out waiter made fun of my neck injury and made a rude comment to me when he saw I was wearing a neck brace. Had a great time as always. Service was great. Food a mimosas beyond good. Good food, good happy hour options. Great location. Dexter's Sunday brunch is worth the trip! Excellent dishes, and an energetic atmosphere. The bartenders and servers are excellent; the best in the area! Heather was exceptional for us Sunday! Enjoyable way to celebrate Mother's Day! We enjoyed a lovely Mother's Day brunch a day early. Excellent food, great waiter, and nice atmosphere. This was my second visit to this restaurant in the past four weeks. Both times I had a reservation and both times I was seated in the same section where they must also seat large groups for parties, The first time it was really noisy. They have concrete floors and on wall is glass, which must amplify the noise. This past Sunday, the noise was unbearable. It was created by a large table celebrating a birthday, and another table of eight who at times, stood up and shouted to the person at the end of the table. My guest for dinner did not finish the meal, said they could not take it any more, and left. What is so disappointing is that no one from the management staff cared, or did not walk thru their restaurant to see how things were going. There is no way I can recommend this restaurant unless you are a glutton for punishment. Great experience!! Heather was a great server, food was Awesome and worth the drive. Arrived with 2 more that reserved for and were quickly seated with no issues. Food was very satisfying to all in group, child, teens and seniors. A wedding rehearsal dinner was set up. Two tables running across the width of the restaurant. When the group came in to be seated, it was extremely noisy and some of their party stood behind our table talking loudly. I don't fault the wedding party, Dexters should have completely blocked off ample room for such a large group. Shame you changed your menu !! We used to loved the crab cakes. ..The breakfast is just not the same ! !